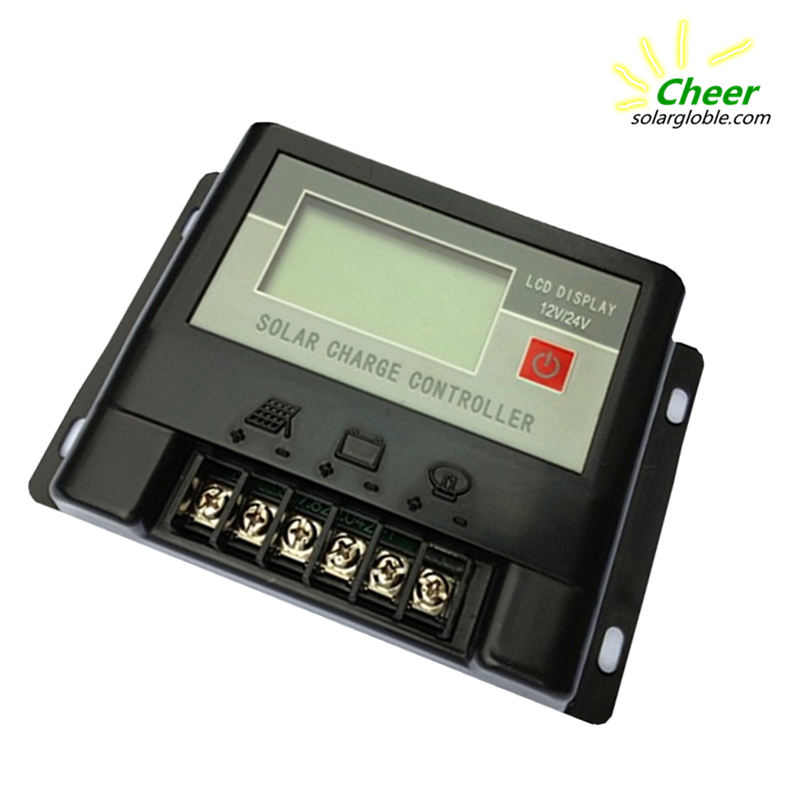 Cheer LCD Intelligent Solar Charge Controller 1524CT 12/24V 15A_Solar&Wind Product_Product_Get high quality goods directly from the original factories! 2.1 Ready tools and cables.Encourage you to matching the right cables.Ensure that the current density ＜4A/mm2 that is conductive to reducing the line voltage drop.Recommended:10A with 2.5mm2 cable check weather the installation sites compliance with the relevant safety requirements. Please avoid the damp,dusty,there is a place flammable,explosive and corrosive gases use the controller to install. 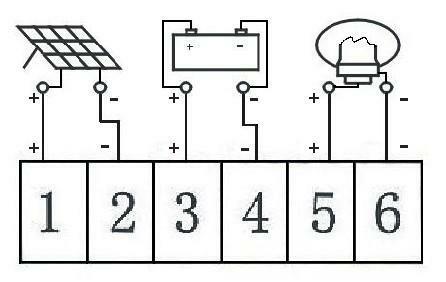 2.3 As shown on the figure 1,connect the (1) Battery, (2)Solar Panel and (3)Load to the controller according to the order of (1)(2)(3). Pay attention to the load,battery,solar panel and controller of same polarity. 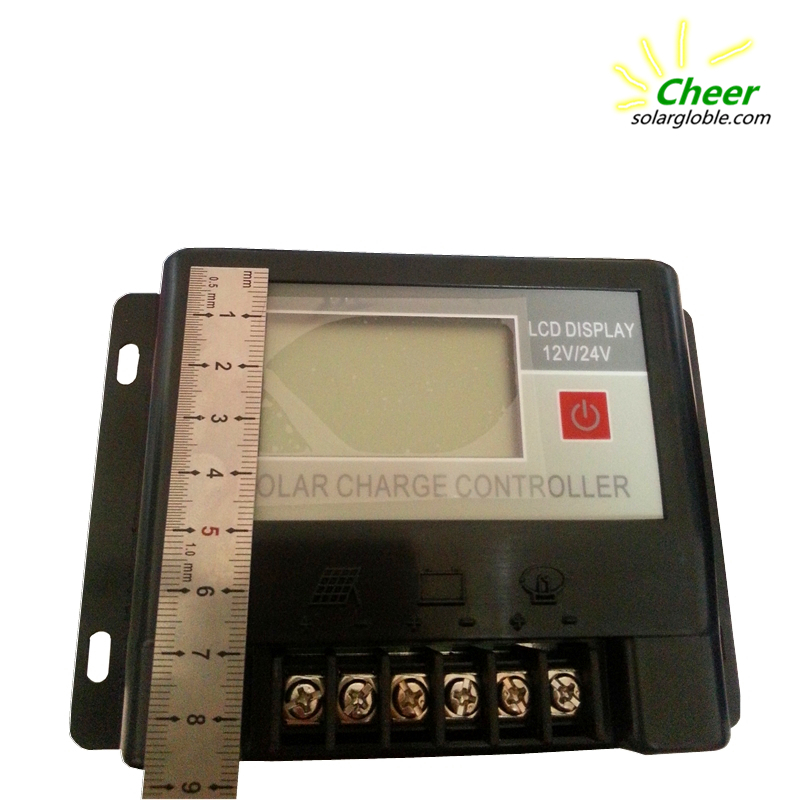 Screen display as shown in the figure that the battery drops below the LVD protection voltage.The controller has entered the LVD protection state,load circuit has been disconnected.Use the solar panels recharge the battery when the battery voltage reaches LVR voltage,the controller will resume on the load power supply,into the normal working state. 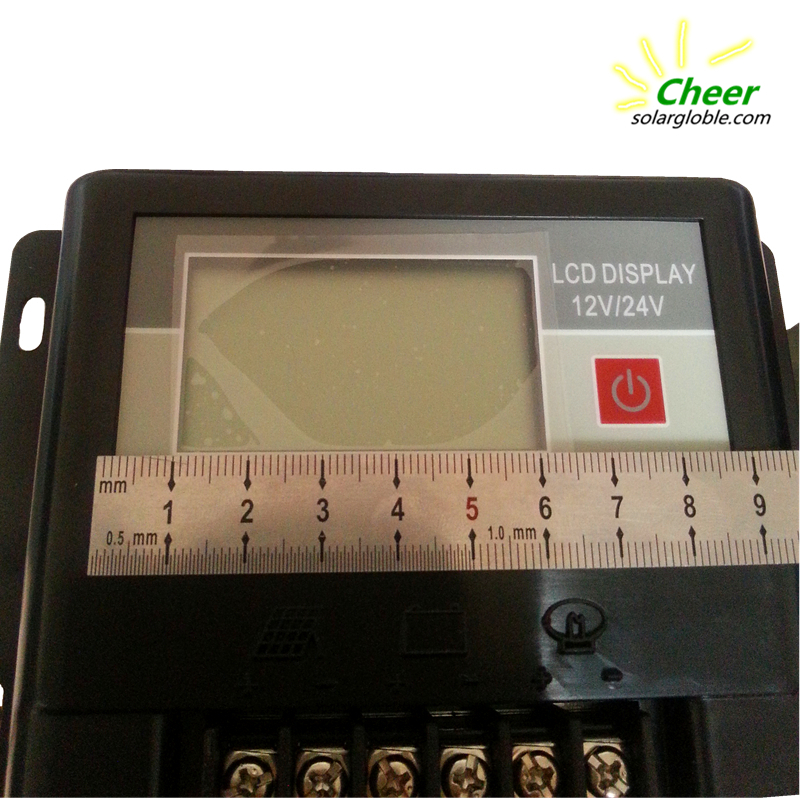 Screen display as shown in the figure expressed there is short-circuit on the load loop circuit.The controller has enter into Short-Circuit Protection state. Check the load if there is damage or not,if there is cable short circuit or not,after trouble shooting short press the button twice for restoration. 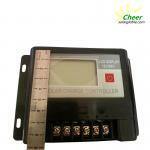 ● The product is guaranteed of replacement , returning and repairing within 7days after sale. ● The product is guaranteed of replacement and repairing within 1 month after sale. 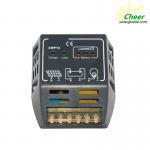 ● The product is guaranteed of repairing within 12 months after sale. 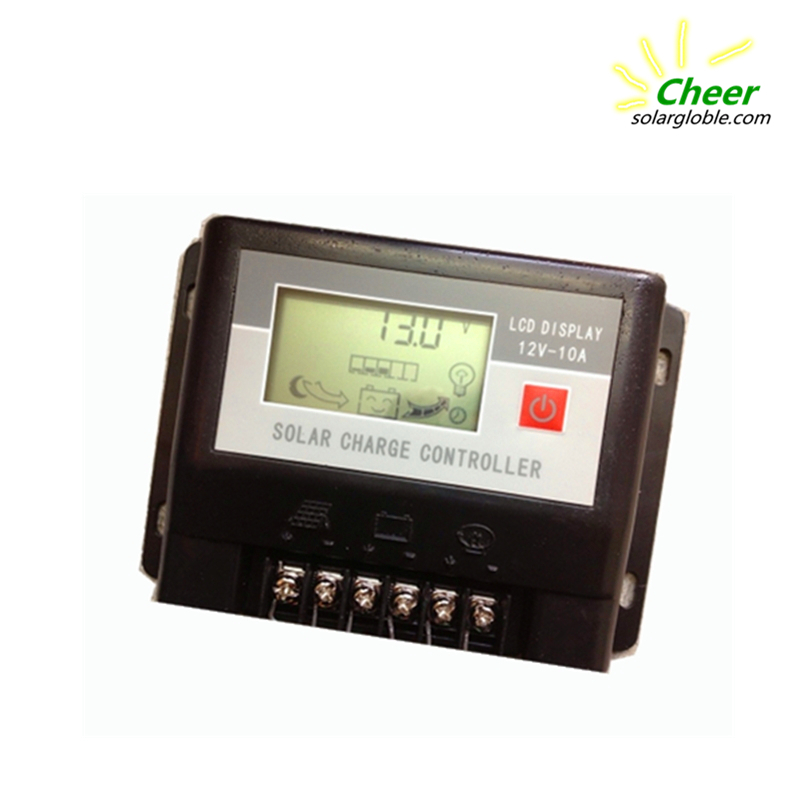 5.2 If it is not possible to identify the using date of the controller,we would refer to the ex-work date,and prescribe 18 months as the warranty period.We need to charge beyond the warranty period.The controller can be repaired for life no matter when and where you use it. ● Do not operate according to the user’s manual. 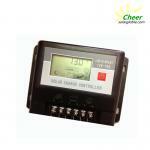 ● Use the controller under the condition which can cause the breskdown and aging of the apparatus. ● Improper crrying or storage. ●Regarding to the service of replacement, returning and repairing,you need to retreat the product to our company,and we decide whether to replace or repair after we make clear who should be responsible. 5.4 We will not note if there is any change of this product.